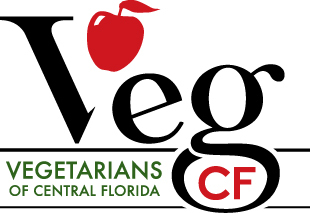 VegCF has a vegan potluck on the first Monday of each month. Attendees bring amazing dishes to each event. Here are some of our favorites. If you have brought a dish to the potluck and wish to submit the recipe for our list, please email it to Sandy Gapin at Sandy @VegCF.org. Stir fry onion and garlic in oil until translucent. Add carrots and Boca Crumbles. Continue to stir fry for 10 minutes. Add pasta sauce, basil, and Italian seasoning. Let simmer while you make the cheese sauce. Cheese Sauce – In a separate pan, simmer the veggie broth for 5 minutes. In a bowl, crumble the tofu mix in Italian seasoning. Add the herbed tofu, vegan cream cheese and lemon juice to the broth. Stir well. Cook over medium heat, stirring constantly until the cheesy stuff starts to melt. Stir in nutmeg and nutritional yeast. Remove from heat but keep warm. In a lasagna pan, place a layer of meaty sauce, spinach, noodles, cheese sauce. Do one or two more layers. On the top, I like to add a layer of plain sauce and some cheese. When I make a large lasagna, I double the cheese sauce. Cover and bake at 375 degrees for 30 minutes. Uncover and bake 10 more minutes.